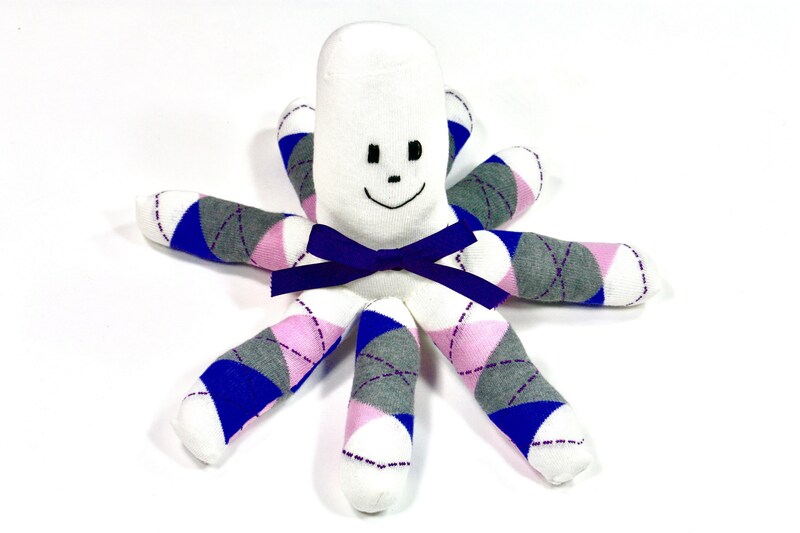 Handmade Socktopus cuddly play toy. It is the cutest stuffed animal you have ever seen! This makes a truly unique gift and is perfect for that upcoming baby shower. Crafted from colorful socks and polyester fill. Keep clean by just machine washing in cold water on the gentle cycle. All of my items are sewn in a smoke free and pet free environment.